Getting in shape and staying fit is important to everyone but as you get older it is especially important to remain physically active. As we get older we tend to slow down and get into a rut of sedentary routines that add weight to our bodies and make us age faster. Being a couch potato has its consequences. A person who sits around instead of being active will find that their blood pressure, cholesterol, and blood sugar will increase to dangerous levels while their energy levels decrease. It becomes a vicious cycle. If you give in to lazy tendencies because you feel tired and out of energy you’ll actually become more lethargic. Yes, every body needs rest got after a good night sleep your body requires physical stimulation in order to maintain a healthy life. Just beginning some moderate physical activity like walking every day over a period of weeks and months will have a positive impact on your body. You’ll see that the symptoms of arthritis diminish and your bones become healthier as you move your body around. People who walk have greater protection against osteoporosis than those that just sit around doing nothing. Another wonderful thing that walking can do for you is relieved anxiety and reduce the chances of you suffering from depression. You don’t have to go nuts and become a professional bodybuilder in order to reap the rewards of a fitness program. You can start slow and build your way up to more rigorous exercises. The important thing is that you start. If you’ve been out of shape for a long time and haven’t done any type of exercise program recently and it’s always a good idea to see your doctor and have a checkup before you begin any type of diet or exercise regimen. Vigorous walking has lots of benefits. It’s great for your heart and lungs, it will build muscle tone and improve your balance. Walking is also a great way to keep connected with your community. Some senior citizens like to go for walks with friends as a way of adding some safety to their regular outings. Don’t set out to finish a marathon if the most exercise you’ve gotten recently is walking to the Krispy Kreme doughnut store. Set reasonable goals. By gradually increasing the distance and speed up your walks you can safely improve your health without a serious risk of injury. Just make sure you have a good pair of walking shoes, no need to invest in expensive sneakers or running shoes. By gradually increasing the distance and speed up your walks you can safely improve your health without a serious risk of injury. Just make sure you have a good pair of walking shoes, no need to invest in expensive sneakers or running shoes. Keeping yourself safe and healthy should be your primary goals as a senior citizen enjoying the golden years. When you’re out going for a walk make sure you have a cell phone with you so you can get help if you need it. If you live alone and are prone to falling accidents you should consider getting a medical alert system in case you have trouble and need to reach an emergency response team but you are unable to get to the phone. The best time to start exercising is 10 years ago, the next best time is right now. Think moderate, steady improvements and you’ll be well on your way to a healthier life. I write about senior health and safety at ElderKind.com. 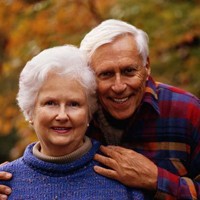 Our goal is to improve elder care and the quality of life for the aging.